” And when I am lifted up from the Earth, I will draw everyone to myself”. May the Lenten journey bring you closer to the Lord, may you totally feel his love that is deep within your heart and soul, for which you need not look any further than yourself. Then as you feel the love of God within you and become soothed by the warmth, then let us all spread this Love with each other, instead of this hatred, that is ripping us apart. Love is in the air and no it is not a red heart with Cupid’s arrow going through it, it’s the true love from Jesus Christ to us all, who walk a path through this journey of life. Jesus came to us and sacrificed for us all, he taught us so many things and with his teachings came his true love for us all, no matter of who you were. The biggest thing Jesus showed us, was how too resist Temptation, as it is everywhere and will try to control who we truly are. This Temptation is just Satan trying to steer us away from Jesus, so he can bring hatred and ugliness, instead of the true beauty and love that Jesus brings. 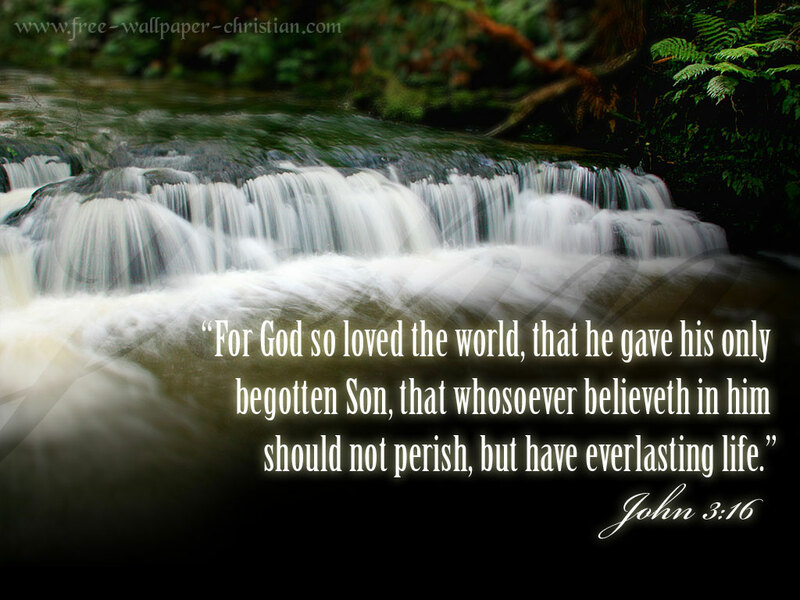 Just as God our Father gave us his one and only son………… Jesus Christ. Maybe to one day? Jesus will bring to us his son, so we of this Society being so removed from his journey, can truly see and feel his love deep within our hearts and souls. We so truly need this. as just like the Society back then, there is way to much Temptation, hatred and ugliness, at every turn along our paths of this journey. With so many that have wandered away from the house of the Lord, I think it is time we revisit, see what has changed and what has stayed constant? Just maybe if we all make the trek back to the house of the Lord, we all can get back in touch with who we truly are, which is someone who is nothing but love, happiness and joy, with at no time has, any kind of hatred or ugliness. These are learned from somewhere and it is time to unlearn them, so we all can move forward, in the Peace of the Lord always and forever. May the waterfall of this picture, cleanse us all and wash away our sins, so we than can move forward in Jesus Christ, truly feel his love deep within our hearts and souls, so we than can share this love with each other and not, this hatred or ugliness, that consumes us now. The good will always prevail, just we so need to have complete faith in, not just ourselves but in Jesus Christ as well, so we than can have the hope in all we do moving forward. If you look deeply into the water going over the falls, you can clearly see the strands of water, instead of just looking and seeing black….white……then black again. The white of the falls represents the paths of each of us, as all our sins, pain and suffering gets washed away, so we than can get back in touch with who we truly are, with zero distractions, as we walk this journey through life, in Peace and Happiness always.